We all want to have strong, washboard abs, but no one wants to work hard to obtain it. It's okay, we've got you! 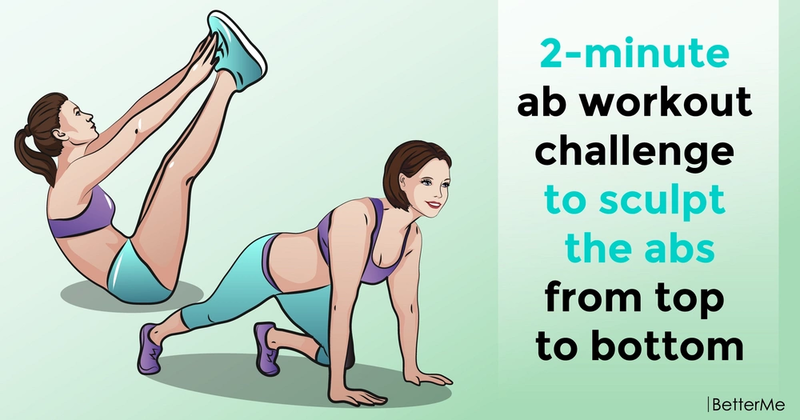 Fortunately, it is possible to flatten your belly and strengthen your abs muscles just by exercising for two minutes. In this article, we would like to show you one-week ab-challenge, that can help you sculpt the body of your dreams. Are you interested? In order to start this one-week challenge, you don't need any special equipment. You may perform these exercises everywhere and anytime you want. Are you interested? Let's see the schedule for one week to help you burn extra fat and build lean muscles. #1. Perform lemon crushers for thirty seconds. #2. Perform toe reaches for thirty seconds. #3. 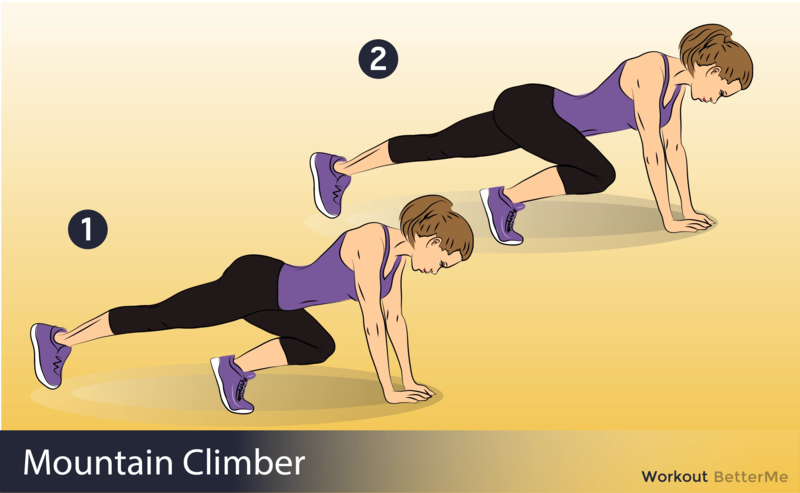 Perform mountain climbers for thirty seconds. #4. 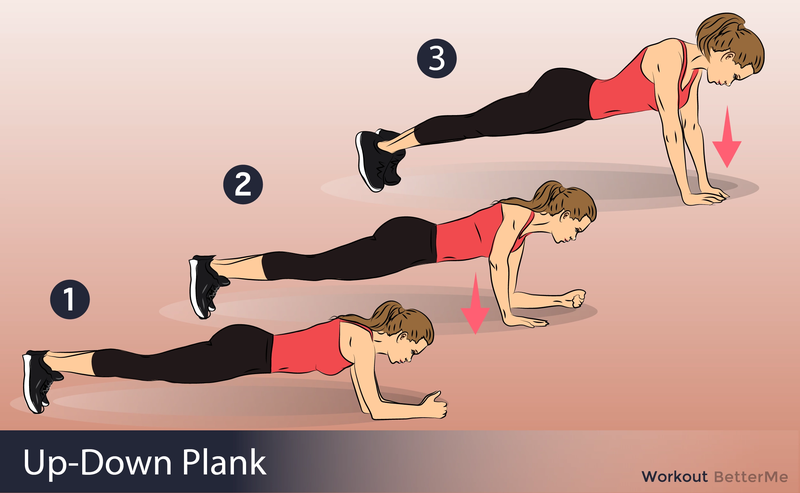 Perform plank ups/downs for thirty seconds. In order to see noticeable results, you need to perform this workout on Sunday, Monday, Wednesday, and Thursday. If you want to melt your fat faster, you may add high-intensity interval training to your workout routine. Perform short cardio workout twice a week. And make a day-off on Saturday to prevent injuries and fatigue. Remember that it is impossible to get in shape without following a healthy diet. Calculate your daily calorie intake, balance your diet with protein and get enough water. Are you ready to exercise? Scroll down to see how to perform these moves correctly in order to get the most out of this challenge. It is time to transform your bodies, ladies!